1.Forged brass body & bonnet for maximum strength. The security technology of welding work what? CO2 welding safety procedures which include a manual welding safety procedures: 1, the strict implementation of the procedures and requirements of engineering construction safety. Compliance with the operating procedures of the type of work is strictly prohibited illegal operation. 3, in order to prevent the risk of electric shock, welder must be implemented according to the instructions provided for ground protection. 4, CO2 welding Ming arc welding, in order to prevent the eye arc burn inflammation and skin burns, must comply with the labor Dynamic health and safety rules. 5, wear the appropriate protective equipment, put on a white canvas overalls, wearing welding gloves, appropriate choice of welding masks and goggles. 6, in order to prevent harmful gases and dust, welding venues should install exhaust ventilation or use respiratory Smoke protection appliances. 7, welder and welding places to stay away from inflammable and explosive materials. 8, welder and cable inspection, maintenance, shall not bare phenomenon. 9, before operating, the carbon dioxide gas should be preheated 15min. The gas, the operator must stand on the side of the bottle. 10, before the operations, should be checked and confirmed that the wire feed mechanism, and a connecting portion of the electric wire, the carbon dioxide gas supply system and the cooling water system meets the requirements, the torch cooling water system is not leaking. 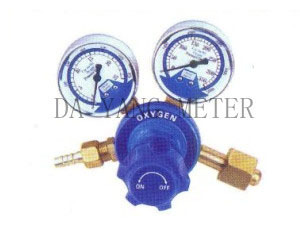 11, the carbon dioxide gas bottle should be placed in the shade, the maximum temperature should not exceed 30 ° C, and should be placed not be near the heat source. 12, the end of the voltage of the carbon dioxide gas preheater, shall not be greater than 36V, the job should be cut off the power. 13, the welding operation and co-ordination must labor required to wear protective equipment. And must be taken to prevent electric shock, falling, gas poisoning accident and fire safety measures. 14, the field of welding machines, there should be rain, moisture, sun hangar, and fire equipment should be installed. 15, high-altitude welding or cutting, must wear seatbelts, the welding around and below the fire prevention measures should be taken, and there should be someone monitoring. 16, when the required welding pressure containers, sealed containers, drums, pipes, stained with flammable gas and solution workpiece, should eliminate the pressure inside the container and piping to eliminate flammable gas and solution, then rinse toxic, harmful, easy burning material; container there is residual grease should steam, alkaline rinse and open the flap, confirmed the containers clean, then filled with water before welding. Welding should be taken to prevent electric shock, poisoning and suffocation measures in the container. Welding, cutting and sealing container should stay vent necessary in the inlet and outlet at the installation of ventilation equipment; container within the lighting voltage shall not exceed 12V, welders and welding pieces should be insulated; should be located outside the container to supervise. Non-welding in spray paint and plastic containers. 17, pressure vessels and piping pressure state energized equipment, parts of the force of the load-bearing structures and container containing flammable or explosive articles welding and cutting is strictly prohibited. 18, welded copper, aluminum, zinc, tin and other non-ferrous metals, should be well-ventilated, welding personnel should wear protective masks, breathing filter or take other anti-virus measures. 19, when the elimination of weld slag, protective glasses should Dai Pingguang head should be away from the direction of the percussion welding slag splashing. 20, a rainy day may not be in the open air welding. When operating in wet areas, the operator should stand in a place covered with insulating materials, and should wear insulated shoes. 21, around the welding site storage of flammable and explosive materials is strictly prohibited.